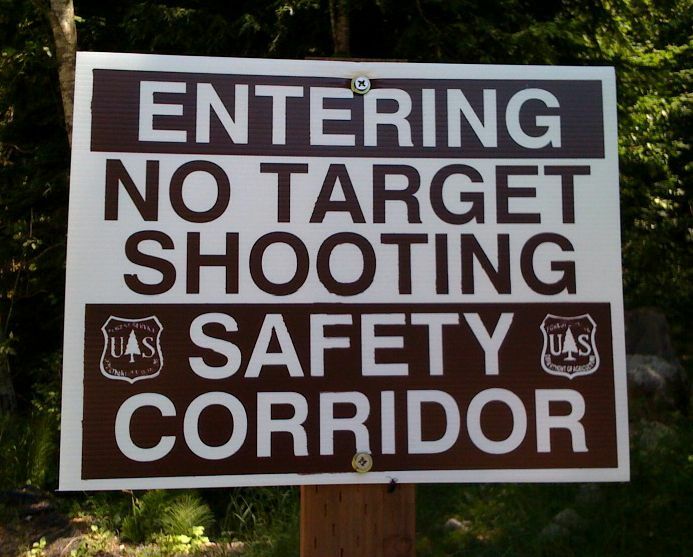 The Snoqualmie Ranger District has proposed implementing a permanent ban on target shooting on a swath of land paralleling the I-90 corridor and the Middle Fork Snoqualmie Road. Please contact them and let them know that you support this effort to make our trails safer. Comments are due by June 24. I support the proposed closure of this popular recreation area to target shooting. It is an important step in reclaiming the Middle Fork for hikers, equestrians and mountain bikers. This safety measure can only be successful if it is met by a commitment to improve enforcement in these wildland-urban interface areas. 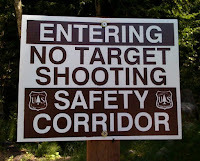 If you've had a personal encounter with inappropriate shooting on a trail please include that experience in your comments. Send written comments to: Attn: Forest Supervisor, Mount Baker-Snoqualmie National Forest, 2930 Wetmore Ave., Suite 3A, Everett, WA 98201. Thanks for your time, and for speaking out for hikers!